this kit is the best! you will absolutely love it! Without a doubt, the only way I ever recommend getting started oiling is with the Premium Starter Kit.The PSK comes with 11 of the most loved and commonly used essential oil singles and blends that can support most every system and function in the body. It also comes with the diffuser of your choice, 2 NingXia Red packets, a sample of the incredible Thieves Household Cleaner, and some cute tiny bottles! Oh, and access to our amazing community to help you fall in love with your oils. SCROLL THROUGH TO SEE A LITTLE BIT OF WHAT YOU CAN DO WITH THIS KIT! 1. The Desert Mist | Runs up to 10 hours, with lots of colorful light options, including a candle flicker or no light at all. 2. The Rainstone | Runs up to 8 hours, has a negative ionizer, LED light settings, remote, and beautiful handmade ceramic that make it a beautiful way to incorporate oils into your decor. 3. The Aria | With speakers, a maple wood base and glass dome, time options and remote control, this gorgeous diffuser is as much a part of your decor as it is diffuser. 4. The Dewdrop | Functions as both humidifier and diffuser, with ambient blue light and auto-shutoff. Immune supporting boss. Often imitated and never duplicated! Versatile but best known for being relaxing. Also amazing for skin and to use with little ones for nearly anthing. A blend to diffuse away the funk. Bad moods and stinky things be gone! A powerful support of the body's natural inflammatory response. Teething babies BFF. This one is incredible for post-workout massages/baths or at the end of a long day. Tummy support. It's there for you before meals, after meals, and in times of trouble. Powerfully refreshing, this one will make you say "ahhhh!" One to keep with you. Energizing, soothing and versatile! This one has the Jesus stamp of approval and is amazing for skin (and much more). It's the holy grail of oils. Purifying and uplifting, this one can make you happy while you clean all the things! Throw these in the fridge and enjoy them first thing in the morning or when you need a little pick-me-up during the day. You can also freeze these for a wellness popsicle! This drink is full of antioxidants and infused with oils for some serious full-body support that I could never be without! 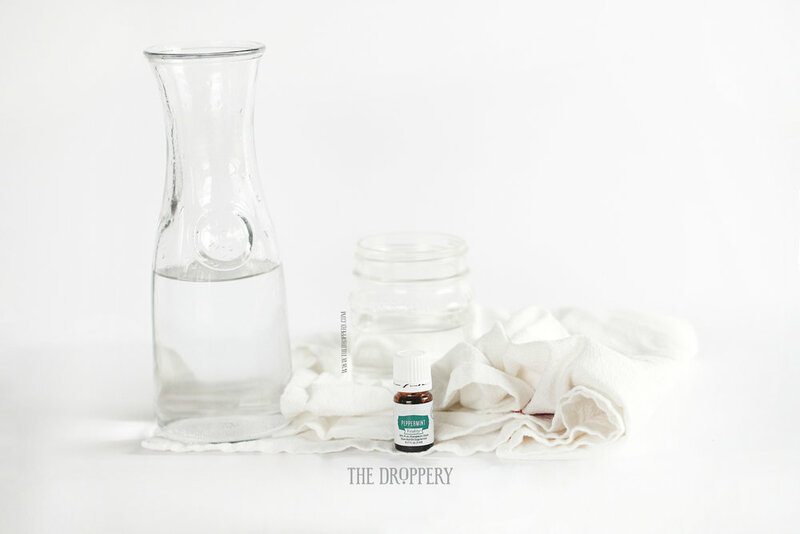 Grab yourself an empty spray bottle, add this and add water and prepare to fall in love. This ONE bottle will clean nearly everything in your home and you just single-handedly cleaned out the toxic cleaners from your home! BOOM! Plant-based, fresh-smelling, and super effective. Make yourself a mini kit that is easy to carry along with you in your purse or use to share with some friends in need! These are SO cute! The kit is $160 but is would cost more than $300 to buy it all individually. The PSK gets you a 24% discount for life and tons of other great perks! Becoming a member of The Droppery with a PSK gets you in on the fun of our private FB group with lots of encouragement and fun education from other oilers! WILL I GO THROUGH THEM SUPER FAST? CAN I USE OILS ON MY KIDS? You sure can! Kids love oils! We can help you use them safely. We even have some Kids oils specifically blended to be gentle yet effective. WILL I HAVE TO BUY OILS EVERY MONTH? Nope! To maintain your wholesale membership, you only need to place a 50PV (about $50) order each year. If you do fall in love with your oils and want to order monthly, Young Living has an amazing program that allows you to earn tons of free stuff! It's basically a fully customizable "subscription box" with essential oils. Best thing ever! WILL I HAVE TO SELL OILS? Absolutely not! It is totally optional. But, if you do decide to help your friends and family get their own oils, we will be here to cheer you on!